"BE HAPPY IN THE MOMENT, THAT'S ENOUGH. EACH MOMENT IS ALL WE NEED, NOT MORE." TTP will be CLOSED Monday, September 4th for Labor Day! We hope you have a fun and safe weekend! Check out our calendar to stay up to date on all that's going on at TTP! Therapalooza will be Thursday, September 20th from 6-10 PM at The Hall at Senate's End! We are super excited for this year as we are honoring Kim Conant, Special Needs Care Nurse from Palmetto Pediatrics. 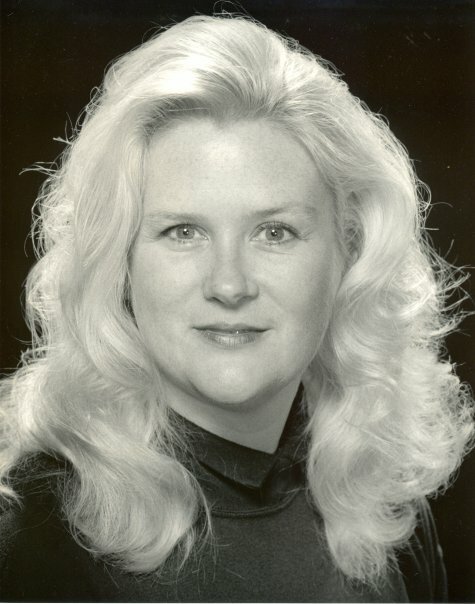 Kim was one of the founding board members of TTP and is a rock star in the special needs community, having helped and still helping hundreds, if not thousands of families across the midlands and beyond. Kim's passion for helping, her positivity in a world that can oftentimes seem overwhelming and her genuine love for the families she serves make her an obvious choice for this inaugural award. Please join us at Therapalooza to celebrate Kim before her spring 2019 retirement! 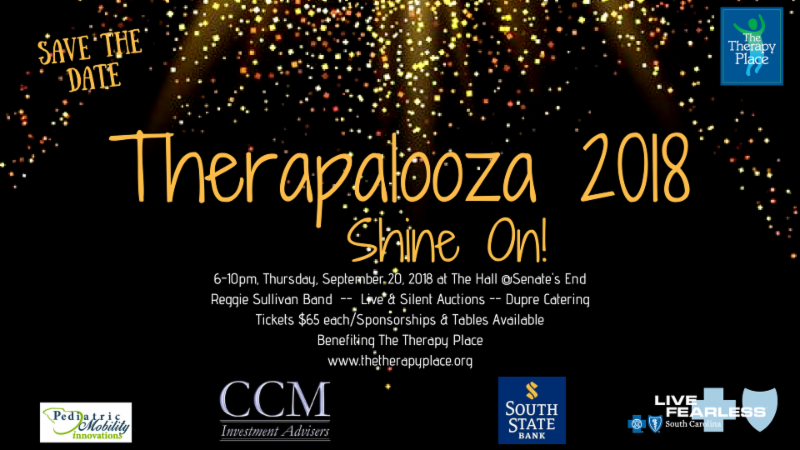 Tickets are $65 each and include live music from the Reggie Sullivan Band, open bar, heavy hors d'oeuvres and fantastic live and silent auction items! TTP is a 501(c)3 nonprofit organization. 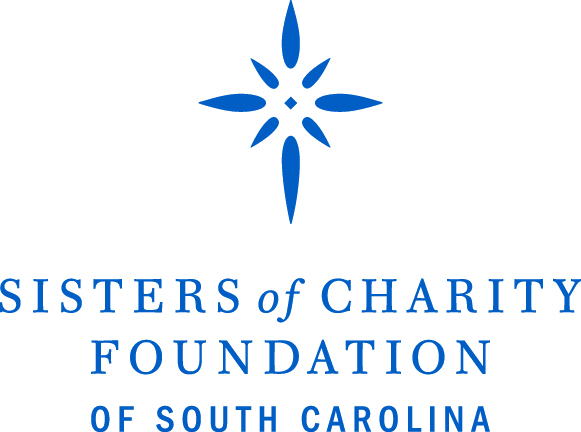 All funds raised at this event provide scholarships for our programs not covered by insurance and help us improve our facilities and train our teachers & therapists. 1) TTP families can purchase two tickets for the reduced cost of $45/each!! You may purchase your tickets from Joye Lee at the front desk! 2) We are also looking for volunteers ! Volunteers who work a 3 hour shift will receive free admission. 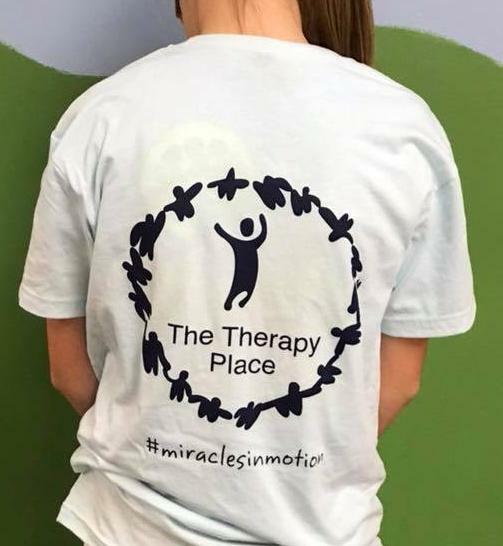 If you are interested in volunteering please email Terry Reid at treid@thetherapyplace.org! 3) Help with sponsorships and auction items . See Dawn Darby for the forms to solicit to your company, your friends' companies and the businesses you frequent. Thank you!! We are having our tie-dye water day September 15th from 10 am - 12 pm! We will tie-dye our TTP shirts and splash in the many water activities! There will be a lot of fun for the whole family! 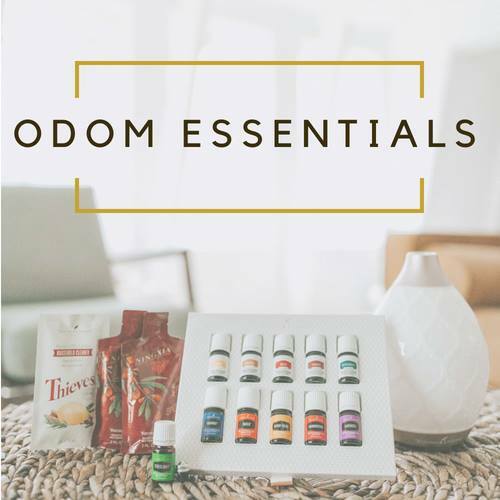 Ashley Odom will be teaching a class all about Young Living and the life-changing kit that got her started on the wellness path. She will have the kit available so you can touch, smell, and experience the products first-hand. She will also have information specifically related to helping with varying types of therapy, special needs, and kids in general. We can't wait to see you there! Sign up by emailing Joye or in the lobby! We are starting our family after hours (aka family support group) on Tuesday, September 25th ! This is a time to get together with other families and have open discussions on an array of topics! 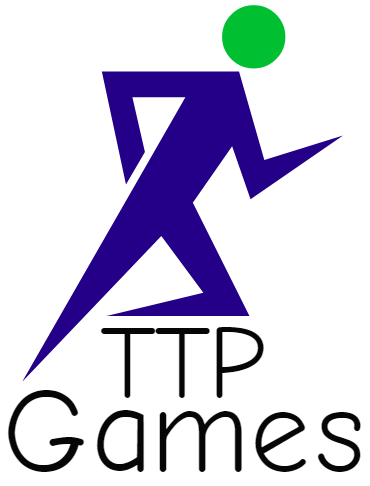 We will have the TTP Games happening at the same time for the children! 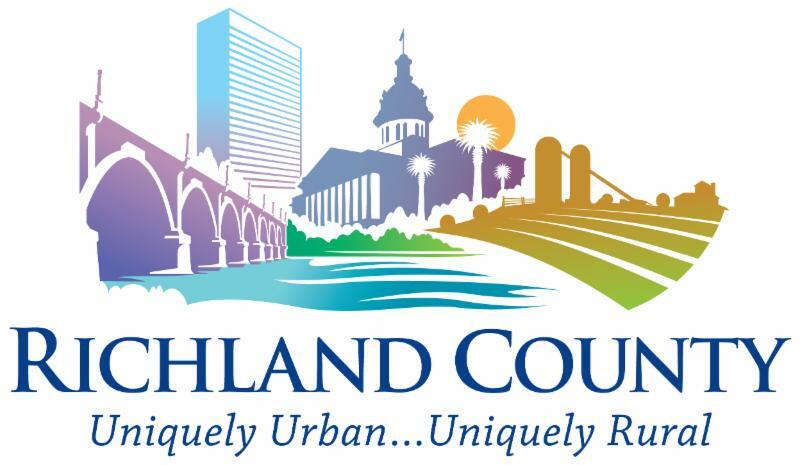 We will meet for 8 weeks (September 25th-November 13) on Tuesdays from 5:45 - 6:45 pm . Please sign up in the lobby or by emailing Joye ! We are bringing back the TTP Games! This will, once again, be an 8-week adaptive sports program starting Tuesday, September 25th from 5:45 - 6:45 pm ! 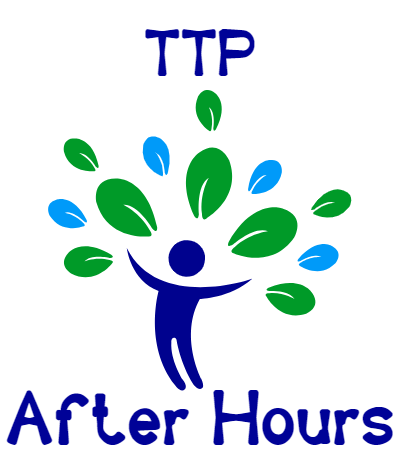 The Games are held in conjunction with the TTP Family After Hours! 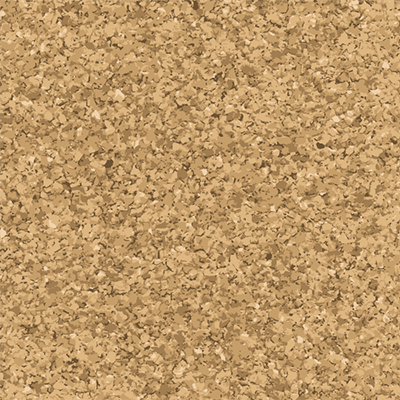 This is a free program for TTP families with an exhibition by the kids at the end! Each week will have a different theme building up to the final course! Please sign up in the lobby or by emailing Joye ! 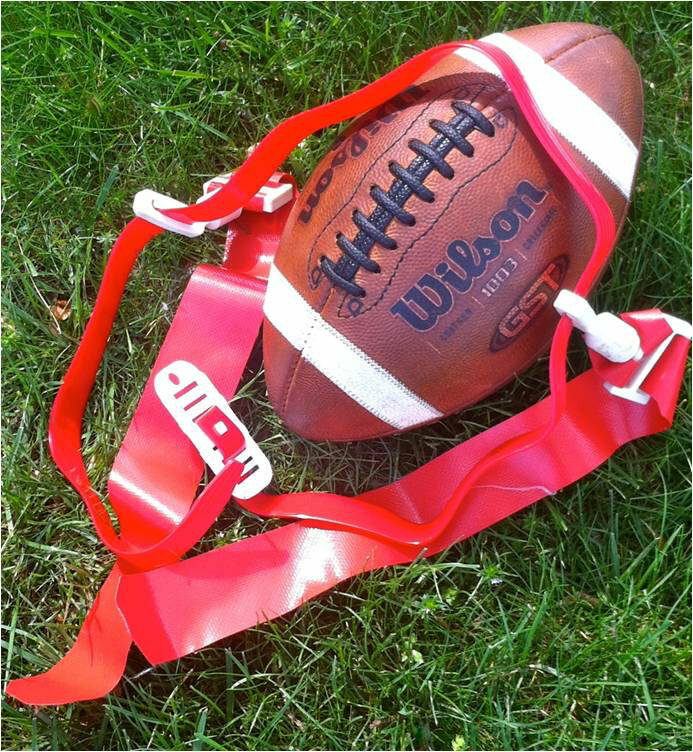 Carolina Panthers Challenge Flag Football for children with special needs starts October 6 and registration opens September 17! Do you need an adjustment to your home to make it more accessible? 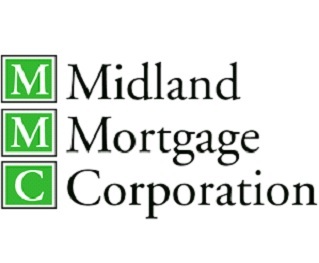 Check out Midland Mortgage Corporation's House2Home loan!